Over the next few years, the car manufacturing industry is set to produce more cars than ever before. Britain pioneered the car industry and it seems that other countries across the globe can’t get enough of our cars. The problem is though, that most of the British cars you see on the road today aren’t really British anymore. In fact, the vast majority of so-called British car brands are actually owned by companies from other countries. Today, as we were supposed to begin the process of cutting ties with the EU, we’ll look at some British brands that perhaps aren’t as British as we once thought. Vauxhall is widely regarded as British car company, yet the business hasn’t actually been owned by a British entity for almost a century. 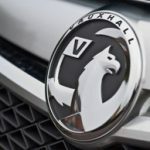 General Motors bought Vauxhall in 1925 and owned it all the way up to 2017 when they sold it to PSA, which is a French company who also own Peugeot. So next time you see someone shwing their patriotism buy driving around in a new Astra or Insignia, remind them that part of the profit will be going to out neighbours across the channel. 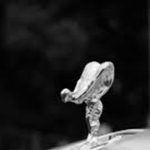 Rolls Royce represent the epitome of finesse and style – and a roller is the choice vehicle for the highest of Britain’s rich society. The British car industry has been proud of the Rolls Royce since the company was founded in Manchester in 1904. However by the end of the 20th century it was in fact the Germans who took owner ship of the brand. Both Rolls Royce and Bentley were purchased by Volkswagen in 1998, and BMW in fact own the right to sell the Rolls Royce brand. One of the most British scenes ever filmed was the iconic scene in the film The Italian Job staring a group of Minis. During the 1960s Mini was a very British brand indeed. However in more recent times it’s another brand that has been bought by the Germans. 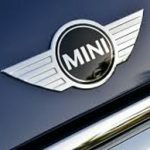 In the early 2000s BMW bought the Mini rights from Rover, before they disappeared from existence in 2005. After talking about Rover it would not be appropriate to neglect mentioning MG. Most of Rover’s inventory was shared out amongst the remaining motoring brands. 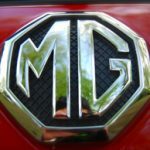 However the Chinese company SAIC decided to take over MG. The MG was manufactured in Britain right the way up until 2016. However nowadays any profits that are made and not invested into the brand, are now ending up in China. 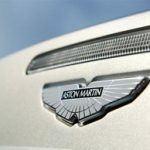 Aston Martin is another famously British brand that has huge ties to the film industry. It’s hard to think about the name Aston Martin without conjuring up an image of James Bond. For those of us who will only get the chance to drive such a beautiful British car on an experience day, all is not lost. Over the past 20 years or so Aston Martin has changed ownership multiple times. First it was owned by Ford, then some of the company was sold to Provide (a car company from Kuwait). Today, an Italian equity firm called Invesidustrial also owns a third of the company after buying it back in 2012. Jaguar is often considered a stone-cold British classic, as it has been part of the UK car scene for over 70 years. You could even say that Jaguar has been around to see the final throes of the British empire. This is ironic given that Jaguar was sold in 2008 to Tata Motors – an Indian brand. You don’t have to drive on the roads for very long in the UK before you see a Land Rover. Despite the fact that they are very expensive, they have earned a reputation for their reliability, robustness and adaptability, which has made them the number one choice of vehicle for people who live in both urban and rural areas. 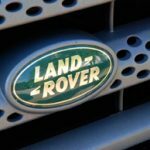 However, Land Rover are no longer owned by us Brits. It’s another company that now belongs to Tata Motors – in India. 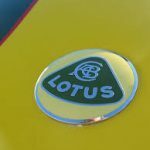 Lotus used to be the producer of some of Britain’s fastest and sportiest cars. However, after some financial trouble in the mid-1980s it was purchased by General Motors. 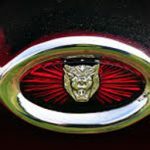 The company was also owned by the Italians briefly, before ending up under the wing of Proton from Malaysia where it remains today.